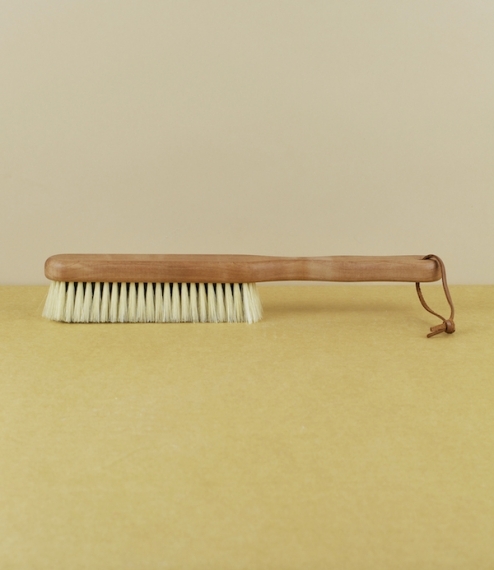 A hand stitched brush of oiled beech and thick fronds of natural latex rubber which effectively pulls lint, scurf, and animal hair from clothing, soft furnishings, and upholstery. 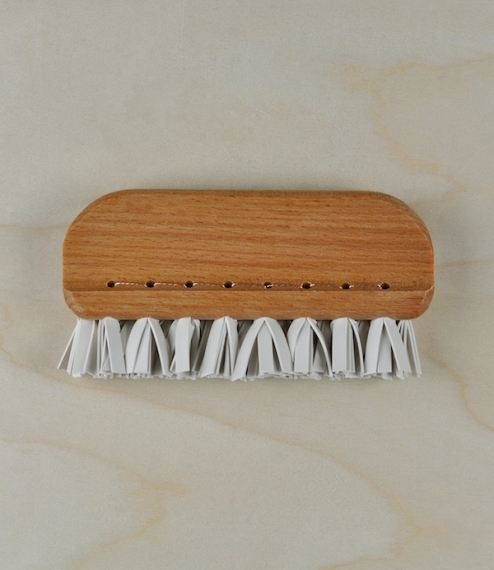 After use the ‘bristles’ can be rubbed clean with the hand or rinsed under cold water. 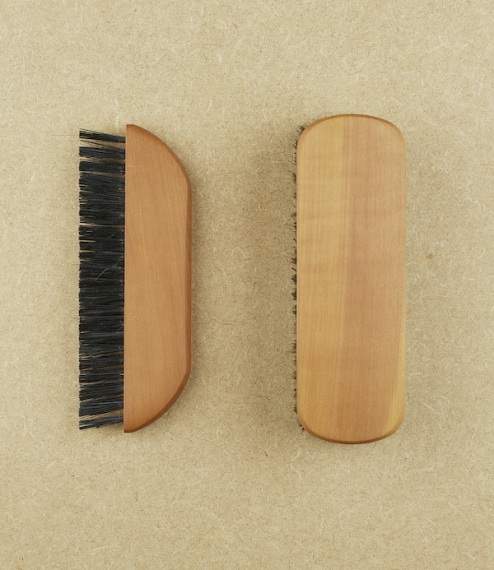 From a small family owned brushworks in North Rhine-Westfalia which since the 1930s has been hand producing unusual and high quality brushware.